First things first. Before jumping into installing anything, you should be familiar with below table. 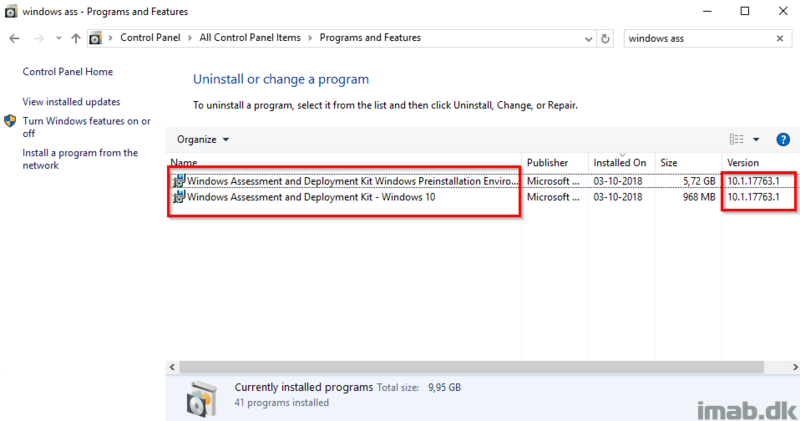 The table illustrates which versions of SCCM (Configuration Manager) that supports the use of the new Windows ADK. 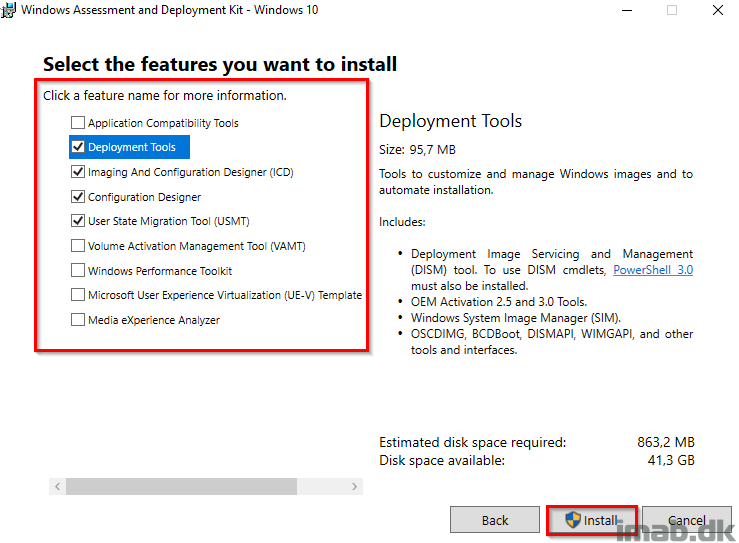 In short, if you are not running Configuration Manager 1806 (at the time of writing) you should not be installing or updating the ADK. 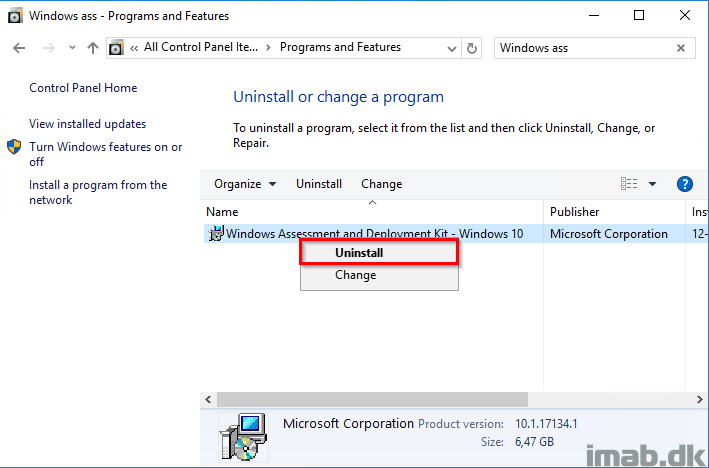 Next, if you comply with the supported version of Configuration Manager, the first thing you should do is to uninstall the previous version of the Windows ADK. When the uninstallation is done – reboot the server. Next! 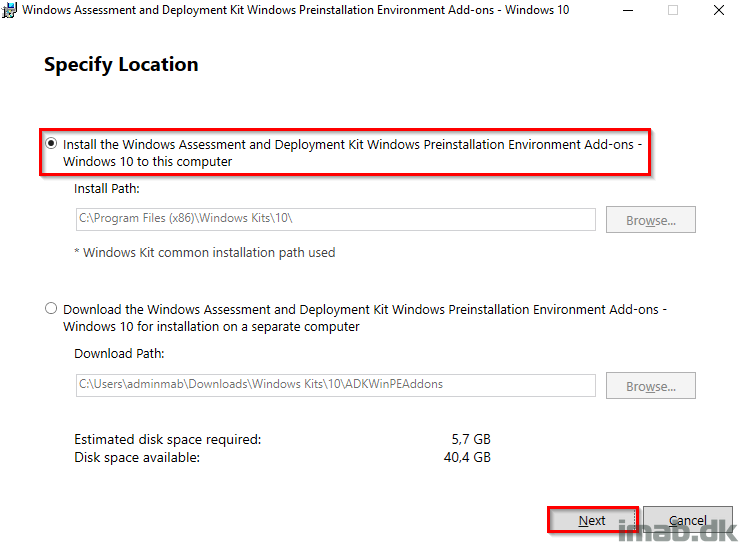 Install the new Windows ADK. 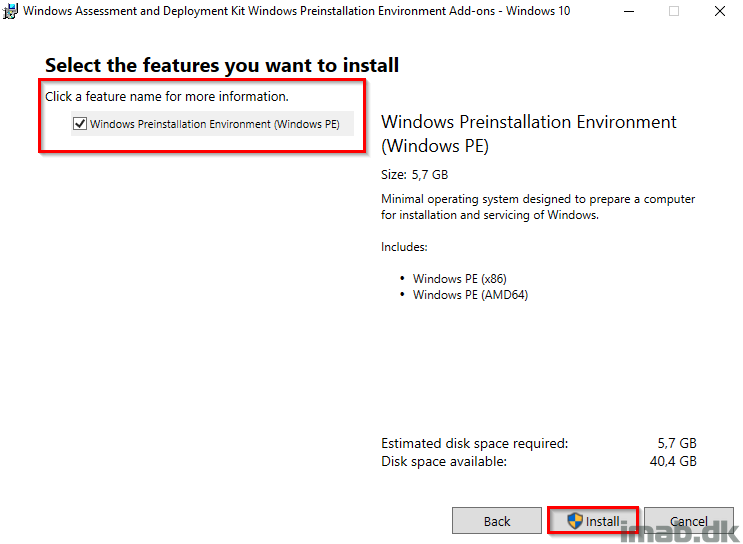 Now install the Windows PE add-on. And make sure the one and only feature is selected. Next! 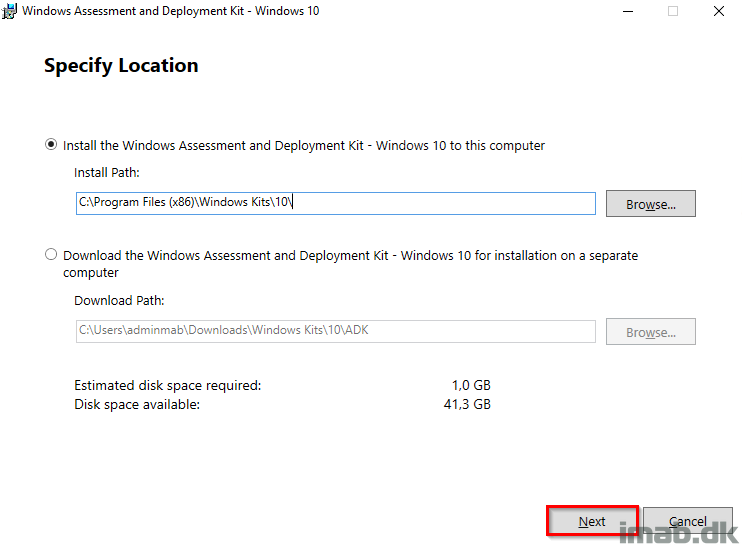 Reboot the server once again and confirm through Program and Features that both the Windows ADK and the Windows PE add-on has been installed. Now it’s time to update the actual boot images. This is done in the Configuration Manager console. Click Update Distribution Points. See below illustration. Also, notice the version of the boot image at this stage is 17134.1 which translates into Windows 10 1803. 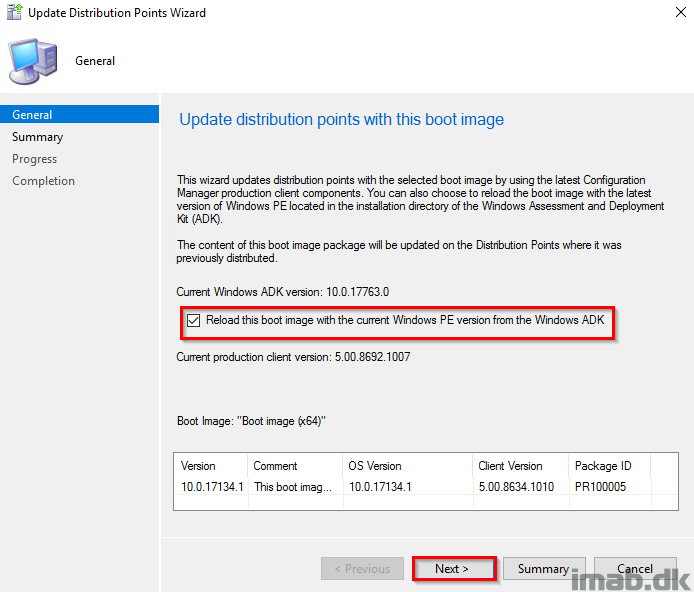 Select to Reload this boot image with the current Windows PE version from the Windows ADK. Click Next and complete the wizard. It goes without saying, but at this stage you would want to test all your OSD stuff. History tells us that installing a new ADK is definitely not always without obstacles.